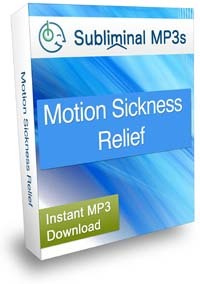 Overcome motion sickness and make a new chapter in your travel memories using this powerful subliminal mp3 audio album. Do you get car sick, travel sick, perhaps sea sickness? Is your every travel experience ruined by a bad case of motion sickness? 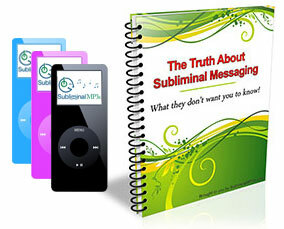 Would you like to reprogram your mind so that you can travel freely? Motion sickness is a disturbance of the inner ear and affects the sense of balance and equilibrium and the sense of spatial orientation. It's very common - but that doesn't mean that you have to keep suffering from it! Everything in our body is regulated by our subconscious, so is the functioning of the inner ear. Some people have a natural sense of balance and they never suffer from motion sickness. And the good news is that it's possible to program your subconscious mind to develop a better sense of balance and spacial orientation! Enhance the ability within your mind to perceive balance better. Your mind is right now exaggerating the level of disturbances while in motion, probably as a result of your long term awareness of your motion sickness. These messages will re-wire it so that you get a better feeling of balance and space in general. Remain calm, relaxed and in control when in trigger situations. You will no longer panic before every trip, aggravating the condition and practically preparing your mind that you'll get sick again. Instead you will go to every trip without even thinking about that possibility, allowing your mind to focus on something else. Overcome any related fears that exacerbate the symptoms. It's quite possible that your fear of motion sickness has led you to develop additional fears, like fear of heights, ocean etc. By removing the original fear you will finally be able to enjoy the ocean and mountains the way you're supposed to. You will no longer feel sick, and dizzy while in the car, on the bus, train, and even at sea. You will instead feel natural, calm, and actually start to enjoy traveling. You will slowly lose your travel sickness symptoms - you will become a new person! Download this album now to help your body to get used to the feeling of traveling and to change your physical responses naturally!